ACL's Atlantic Star Arrives U.S. The 'Atlantic Star' is the worlds largest Roll-On Roll-Off (RORO)/Container ship. 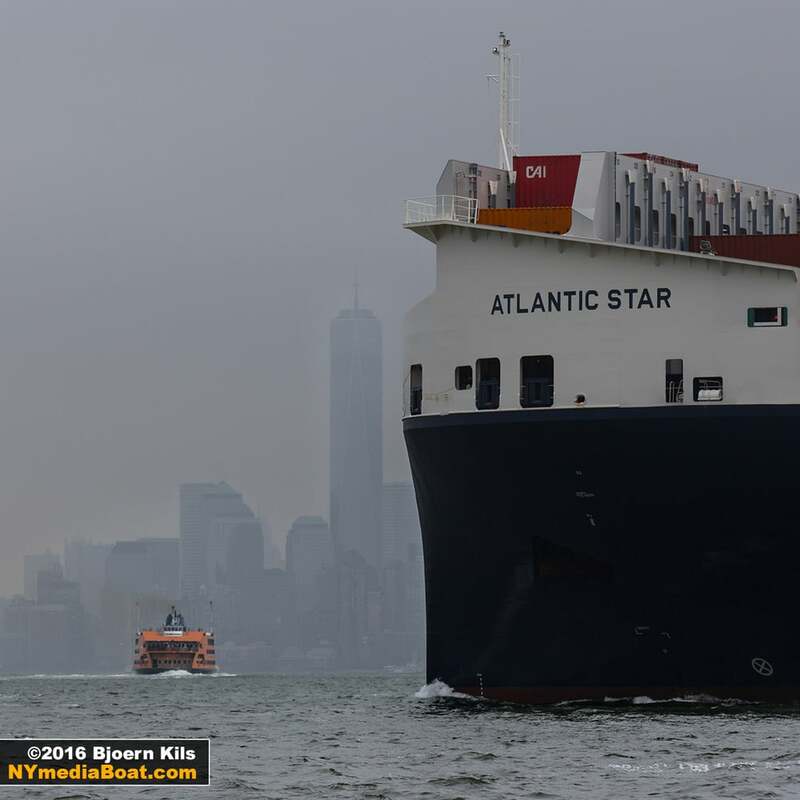 On January 9th, she arrived the U.S. on her inaugural voyage sailing under the Verrazano Bridge into New York Harbor. Built in China in 2015, this is the first of five G4 ships commissioned by Atlantic Container Line (ACL). With an overall length of 971 feet, she's rated at 3,800TEU + 28,900 sqm RORO + 1,300 vehicles with a crew of 16. She will move cargo between Europe and North America with port calls in Hamburg, Goteburg, Antwerp, Liverpool, Halifax, New York, Baltimore and Norfolk. After clearing the Bayonne Bridge she docked next to ACL's G3 'Atlantic Concert' in Port Newark.